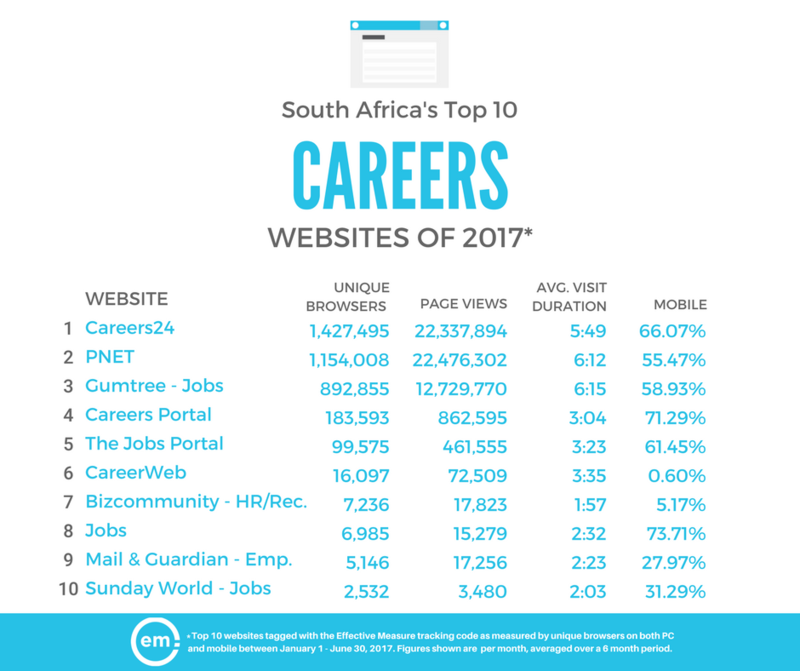 We’ve taken a look at the audience data for 2017 so far and can reveal that Careers24, PNET and Gumtree – Jobs ranked in the top three Careers websites in South Africa during the first half of 2017. See below for the full list of South Africa’s top 10 most popular websites within the Careers category between January 1 – June 30 of 2017, ranked by unique browsers. Want to know who else is performing well? Toremain up-to-date on future rankings releases, join over 25,000 other monthly visitors and sign up for your free Narratiive account.